Our interlocutor is Sanjarali Inomov, lawyer with a University Degree, playwright. He graduated from the faculty of Law of the Tashkent State University (modern Uzbekistan National University) Sanjarali Inomov is the author of several works of fiction. His works “Satan and angel (Shayton va farishta), “My sweet husband’s dream” (Erginamning orzusi), I would not call him dad” (Dada demasman), “Have I told you that I love you? (Sevaman dedimmi? ), “Landslide (Ko’chki), “The love that burned on snow (Qorda yongan muhabbat) were screened at the stage of the Uzbek State National Academic Theatre and his scenarios of “Sohibho’ja operation (Sohibho’ja operatsiayasi), “Super mum-in-law (Super qaynona), Super mum-in-law – 2 (Superqaynona-2) and others were staged at the Muqimiy Musical Drama Theatre and had been successfully offered to the wide audience until 2010 and were acknowledged by the nation as most loved staged plays in the country. Unfortunately, the works of this author, written after 2010 have not been staged and naturally have not been offered to the audience. The reason to this was his sound judgement and his views that are in opposition to those of the government. Sanjar joined opposition in 2002. For the fact of him being a member of opposition, the National Security Services took him under serious control. He supports the work of the “Ko’mak Markazi” (Assistance centre) group and helps it for eagerly free. — Sanjarali aka, many people are aware of the fact that the “Assistance centre” was founded for improving material conditions of the opposition members at least partially and educating sober minded opposition representatives in future. We know well that you are an unbiased helper and you are offering your recommendations and advice to the letters and applications, received by the group. If it is not a secret, can you, please, tell us, what requirements should such group applicants meet? — As you said, the “Assistance centre” group concentrates its efforts mainly on the opposition members. We all know that several developed countries of the world allocate grants for successful activities of democrats, opposition members, who carry out their activities against politics of state rulers, running the countries against democracy and human rights activists in those countries, where democratic requirements, human rights and freedoms are abused. This factor has been practised for a long time. Such grants are allocated not only to government organisations, but also to non-governmental and political organisations as well. With the help of such sponsor organisations, the “assistance centre” group has identified their objectives in not only rendering material assistance to the citizens in the opposition, but also show moral and spiritual support. The leader of “Birdamlik” (Solidarity) People’s democratic Movement Bakhodir Khan Turkiston (Bakhodir Choriyev) is paying a special attention to this noble and sacred work. The group is really receiving a lot of applications currently. As the members of the group, we study each application and letter of the applicants in detail and classify them. To be more exact, the applications that meet the requirements will certainly be taken into account. This means no application of a man of lady will be ignored, if such are really opposition members. However, along with applications we receive from some people, who introduce themselves as representatives of opposition, but after a thorough study process, we find that this is not true, the group gets some anonymous letters. Unfortunately, we never consider any anonymous letters according to the laws and rules. — How can you explain the small number of young people among opposition members? — I think, there are several reasons to it. The dominating pursuit and different attacks against sober minded people in our country can be shown as the main reason. It’s a truth that the young people, who see opposition members facing different pursuits and limitations, threats, facing various slanders and criminations, apprehend from joining the opposition. In addition, the young generation is not politically literate. Our government do not want the young generation to be politically active, but on the contrary, they take every effort to prevent the youth from getting near the politics. Therefore, instead of getting involved in politics, the young people take the position of “it is not my business” and prefer to try to find jobs in their professional fields, getting jobs, or if getting a job is not possible, they take any unskilled labour jobs to get both ends meet. To cut the long story short, our young people are really busy in try to earn the bread. It is not a secret to anyone that unemployment is one of the burning problems in modern Uzbekistan, and in many fields of industry, the country is too far behind from the developed world. — Early July this year, some breaking rumours were spread about Abdulla Tojiboy Ugli claiming to establish a party “For Honest and Just Elections in Uzbekistan”. 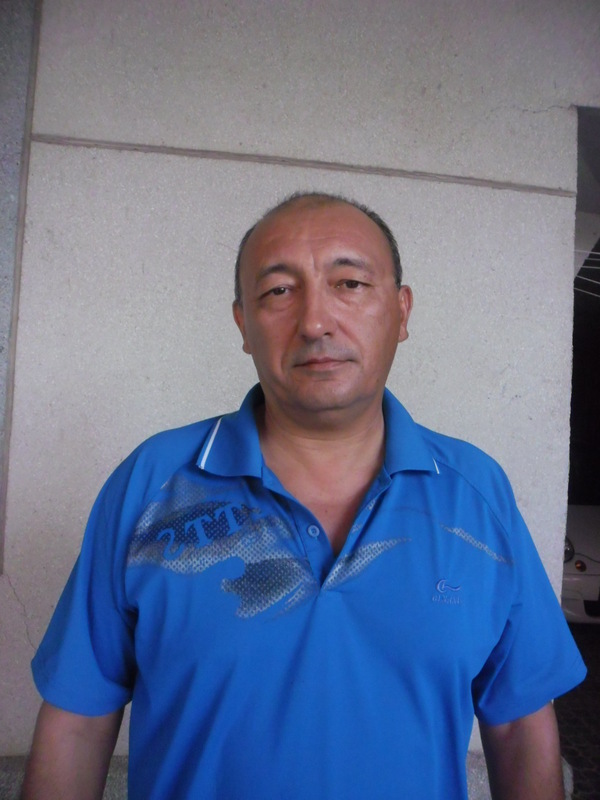 A. Tojiboy Ugli announced that he positively obtained a permit from the government of Uzbekistan for registering such party and holding the foundation congress of the party. Bearing in mind the current political conditions, do you really believe that such party can really exist in our country officially and it can be registered? — First of all, irrespective of A. Tojiboy Ugli’s initiative to found a party and what will come out of this, I would like to stress that this is an indicative of activation of political activities in our country. As far as I understood, A. Tojiboy Ugli’s intention to call this party “For Honest and Just Elections in Uzbekistan” is based on the indication that so far all the elections in the country have not been held honestly and in justice. Every sensible person understands this. Based on this, I personally do not believe that the government would allow registration of a party with such a name. If what A. Tojiboy Ugli says is right, and the government is not really objecting to register an opposition party with this name, we can treat such factors as a really courage and a step towards realising the historical political mistakes. In its turn, a doubt arises here. This doubt means that would this party of “For Honest and Just Elections in Uzbekistan” become an instrument in the hands of current government as a false, marionette party, would this “party” be put against the emigrant opposition parties and movements? As we mentioned earlier, the government is not the least interested in registering an opposition party to itself and they would not simply agree to it. It is not outside the probability that provided it is permitted, A. Tojiboy Ugli’s party would become an anti-opposition party against “Birdamlik” PDM and “Erk” party. — Recently political migrant Hazratqul Khudoyberdi, who lives in Sweden currently, made an announcement that he is making preparations to hold a meeting of the initiative group of “Uzbekistan Freedom Movement”. He disclosed the information about he was trying to register the Movement because of the impossibility of registering it in Uzbekistan, he is gathering supporters through social networks, and getting support in foreign countries. What do you think of Hazratqul Khudoyberdi founding the “Uzbekistan Freedom Movement”? — As far as I am aware, by founding the “Uzbekistan Freedom Movement”, Hazratqul Khudoyberdi identified an objective of creating a base for political changes in our country. He is telling us that he will be getting support abroad because there are no any opportunities and conditions to do so in Uzbekistan. I would have thought, this Movement would aggravate the inconsistency that is present among the representatives of opposition abroad. This would serve fading the activities of existing parties and movements that have been driven out of the country, that have been prevented from carrying out their activities at home and that have been founded abroad and obtained certain experience. This will decrease the belief of ordinary people, who already do not believe in any future political freedoms in the country. If the opposition members abroad really aspire for creating anything new in Uzbekistan, they should not get segmented into pieces, but should consolidate their efforts. No changes can be achieved in the country if everybody takes the erroneous positions of “My position is the correct, and my functions are right”. Moreover, any person, who has chosen the way of reforming the state and society, should not make any mistakes in choosing an ideology. No ideology, which is against our national beliefs and world vision and based on Western liberalism, is applicable to us. Our national character should not be impaired. I think, if we take into account the agrarian nature of Uzbekistan economy, it would be expedient to promote the ideas about developing a democratic state, which is based on private property.